That’s the Money101 mission. But we’re about much more than that. We create financial wellbeing programs that are tailored specifically to your individual needs. Our programs comprise of a number of components to pick and choose from. We’ve got modules, and microsites to house them in. We’ve got videos and audio to customise. We’ve got an engagement library for extra content. We’ve even got games! So whatever you need, we’ve got it (or we’ll make it if we don’t). Why do we offer so much stuff? We want to create awesome things for you to pass onto others, so that more and more people can be empowered to make smarter financial decisions. 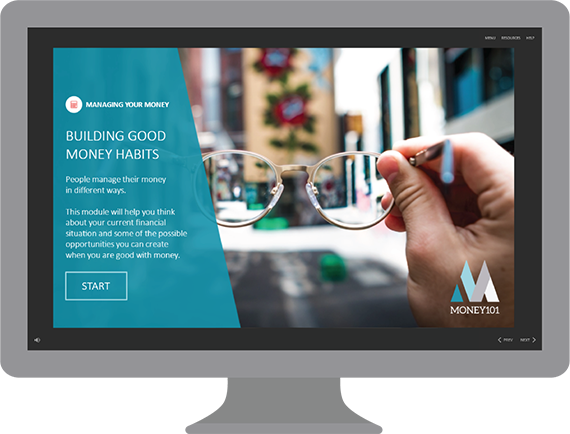 Online financial education experiences that fit your needs to a T. Money101 has the in-house capability to create online financial education modules that meet your business objectives. Whether you’re looking for an affordable off-the-shelf solution that’s quick to roll out, or beautifully custom designed suite of programs with your own content, our team is here to make it happen. 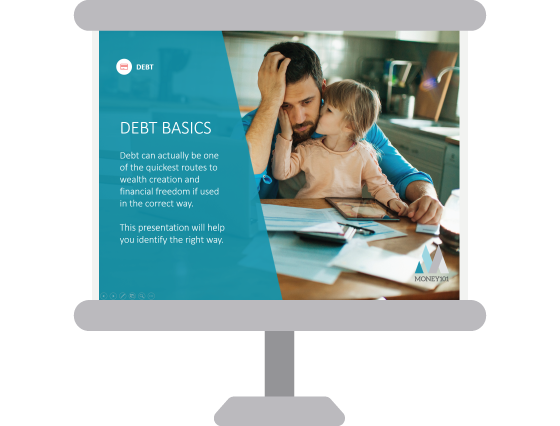 If you’ve got a strategic need to keep your financial education offering separate from the rest of your site, then we’ve got a handy solution. Our IT guru works with our designers and multimedia developers to create a smart little site that does what it says on the can – holds all your programs and modules, ready for your users to log in whenever. And they don’t look half bad too. Ever find it difficult to get your clients, customers or employees psyched about new benefits? We’re here to lend a hand. Purchase a annual subscription to our library of engagement articles today. Your marketing, member services or HR teams can turn the content into snappy EDMs, printable posters, social media shareables, or any other format you choose. It’s all about making sure you get the best possible results from implementing Money101 in your organisation. Seminars are a great way to facilitate dialogue, discussion, and confirm understanding. 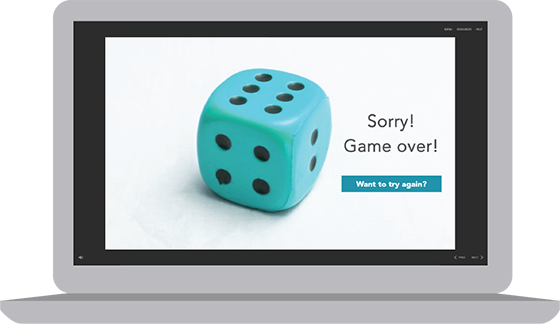 So, we’ve converted our modules into PowerPoint presentations. We use the same quality content but simplified for your audience and with presenter notes added, so it’s really easy to present. 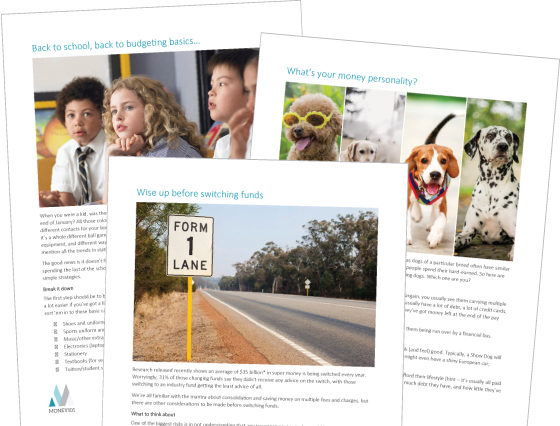 They can be used to give one-off comprehensive seminars that, coupled with the online learning modules we provide, are sure to get your people on the way to improving their financial wellbeing. We’re a firm believer that activities are a great way to help users to retain more information. Plus they’re fun! So, we’ve taken this one step further and developed a range of stand-alone games. Test your knowledge of investing with Snakes and ladders. Discover your property know-how with Who wants to be a millionaire. Work your way through retirement via a race track. And more! 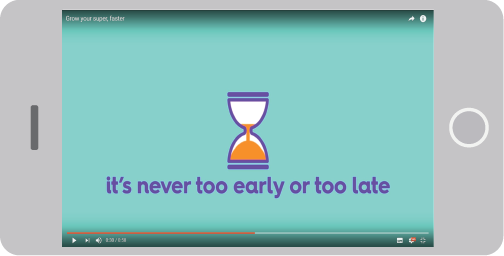 Money101 write, design and produce short animated videos to enhance your wellbeing program. Videos are a proven way to communicate broad concepts and emotive messages. 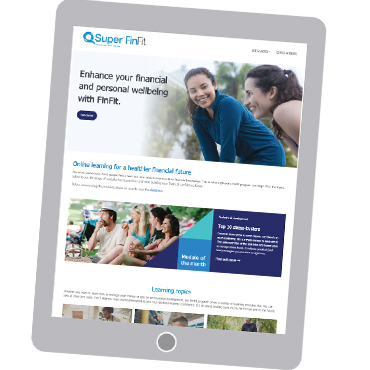 Such as the power of super to shape your retirement lifestyle, as well as simple ideas like how super is invested.